G/Y4-68 Centrifugal Fan/Induced Draft Fans are co-designed by the blower industry in 1982 and primarily applicable to steam boilers with capacity under 230t/h in power plants for air ventilation and inducing. If no special requirements, G4-68 blowers also apply to mining ventilation and general-purpose ventilation with similar performances. Both G-type blowers and Y-type blowers enjoy high efficiency, low noise and high strength. 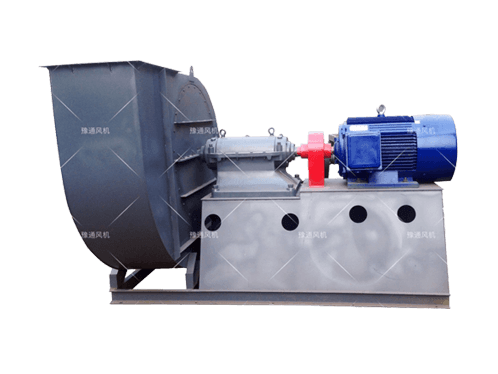 The medium for G4-68 ventilation fans should be air with temperature of no more than 80℃; the medium for Y4-68 induced draft fans can be smoke of no more than 250℃. And a dust removal device with efficiency of no less than 85% has to be added before the induced draft fans to minimize the dust content in the fans. 1. Impeller — It consists of 12 backward curved airfoil blades welded between arc cone wheel cover and flat plate wheel disc. The impellers for induced draft fans are usually made of 16Mn and use wearing resistant backplates on the intersections of impellers and wheel covers; the impeller top is solid and added with wearing resistant materials for the wearable parts, improving the service life while ventilation fan is somewhat different. All impellers pass static and dynamic balance correction and over-speed running test, so they enjoy stable and reliable operation. 2. Casing-It is welded into a volute shape with common steel plates. 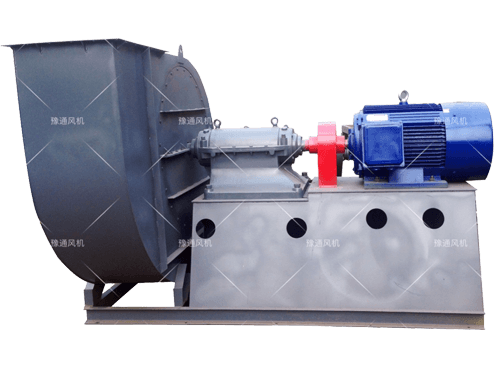 The single inlet blowers can be made into two different types: Casings for Blower №8～№12.5 can be made into an integrated structure; 1/4 of casings for blowers №14 and №16 are removable. For induced draft fans, dust removal doors are equipped for volute plates and appropriately thickened to prevent wearing from dust. 3. Inlet — To be integrated into a convergent structure and fixed onto the suction side of the casing. 4. Air damper- The air damper is used to adjust the capacity of blower. Blower with №8～№12.5 are composed of 11 petal vanes while those with №14 and №16 consists of 13 petal vanes. All air dampers are radially installed before the air inlet. Thanks to the outside driving structure, they enjoy flexible and easy rotation. The adjusting range is from 90° (fully closed) to 0° (fully open). Looking from the side of the air inlet, the handle of the air damper is on the right side. For right rotation blowers, the handle moves from fully closed to fully open by moving from bottom to top. For left rotation blowers, the handle moves from fully closed to fully open by moving from top to bottom. Air damper has to be lubricated carefully to ensure its normal operation. The air damper applies lime-sodium base grease for lubrication while the blower applies temperature-resistant (260℃) Molybdenum disulfide for lubrication to ensure good lubrication under high temperature operation. 5. Driving unit — It consists of main shaft, bearing box, and coupling, etc. The main shaft is made of quality steel and applies rolling bearing, water-cooling integrated-design bearing box. Therefore, a water pipe has to be added and the amount of water consumption varies with ambient temperature and is usually considered as 0.5-1m3/h. Equipped with thermometer and oil level indicator, the bearing box uses 30# motor oil. The oil amount to be added shall be based on the oil level indicator.